Vocal Pluses: Elle Varner's vocal styling is where much of the voice's uniqueness comes from. Instead of being ornate and overly indulgent in melisma, this diva uses her voice in an organic, unfussy way; somewhere between talking and singing--though firmly weighted more towards the latter than the former. In doing so, it allows Elle's singing voice to take on the nuances and traits (attitude/swag) of her speaking voice; ultimately giving it a unique and characterful quality [Hear:Oh What A Night]. Her lower range is strong, weighty, thick and warm. The midrange sees a hazy, edge to the voice develop, which lends itself to harmonising. It also gives the voice a distinctive colouring [Here: Stop The Clock]. The voice quickly drops weight and thickness as it hits the top of the fourth octave; but retain its rough, coarser texture. Up until an F5 the voice sounds incredibly healthy, with Elle displaying surprising ease and freeness in this part of the range. Unlike other Divas, who also mix to reach the fifth octave, Elle's voice doesn't suffer a blanching of its character and this is mainly due to her sensitive mix. Her voice transitions easily into its head-voice/ falsetto, meaning it's possible for Elle to jump in and out of it without issue [Hear: Sound Proof Room]. Whereas the head-voice is full and resonate, she can achieve a different effect by opting to use her falsetto instead, which is lighter but shares the edgy quality of the lower range. Vocal Negatives: Not the most agile or dexterous of voices. I love this woman's voice. There are a lot of profiles on here of women that seem to be contraltos but are actually low mezzzos. I love her tone though....it just stands out. Ellle is everything! Glad you did a profile of hers. I'm still waiting for you to update a few of the profiles. I think one of them you said you would do was Monica, Ciara's need to be updated too, and some others you said you'd do. Her voice, album, style EACH warrant her record deal, fame, and admiration. Very few in the industry can make such a claim. I LOVE her voice! So nice to see a profile on her! There's a video on youtube of Elle Varner "impersonating" Mariah Carey by trying to sing the whistle notes from Emotions. I'll see if I can find a link. Go buy now on iTunes and other fine online retailers for only $ .99 cents!! On itunes her debut "Perfectly Imperfect" says she has a voice like a young macy Gray with Keyshia cole's vocal range. On wikipedia It says Keyshia cole has a soprano range but I don't know. Me again, and as for her vocal negatives, you should have it as TBA because this is her first album with is heavily hip-hop, ballad, pop. Her later work might disprove the opinion of not the most agile, dextrous voice. You could be right, but that's the problem with doing a profile after one album. But If I hear different I'll change it asap. She sounds like an alto to me especially in I Don't Care. Maybe she can be classified as a low-soprano perhaps. 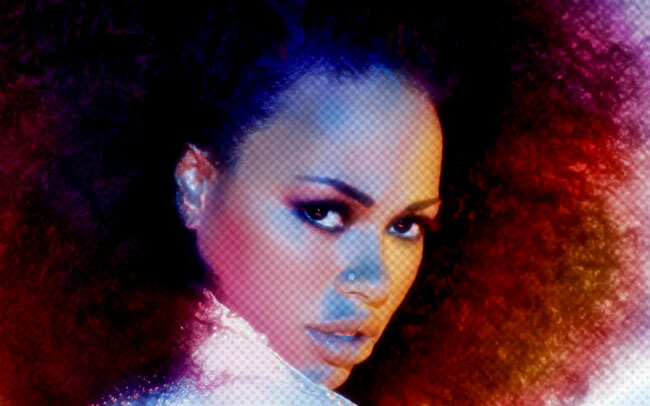 I love Elle Varner and have been following her career since Conversational Lush (which was barely a year ago lol). Anyway I do have a few things. First I think Elle has potential to be great, but she does things that are not healthy. She has shown the ability to achieve healthier notes, but she prefers her style. While that makes her unique in a sense, it hurts her in that this style seems unhealthy. Listen to her notes on Only Want To Give It You in the live vocal range video (the section Can't Let This Go part), it sounds strained and clogged in her throat. Then compare that E5 to the ones she did in Not Tonight, which sound freer, cleaner, and fuller. I think she knows what to do, but chooses a way that isn't good for her in the long run. It is okay now, but what will happen in a few years when she can't hit the high notes? I think if she just gives up the forced rasp period, and work on her stamina she will be gold. Also it is a bit incorrect to say she isn't indulgent with runs. She actually really is. Look at almost any performance of Refill near the end. What makes it worse is that they are not consistently clean, or well executed. It's one thing to be over indulgent (Beyonce, Mariah, etc), but at least have the decency to do it with some precision. She has gotten better, and more comfortable with the stage, but I think she has already experienced some sort of decline; she know switches to head voice to replace some of her belts. Her head voice is really nice, and her transitions into it are good. I hope on her next album we get more of that, as well as better lower register play.